Dear Fedora peeps: Why, oh why, oh why? Review If you're a fan of GNOME 3 and the GNOME Shell, Fedora 20 will be a welcome update. This release sees an upgrade for Fedora's default GNOME spin, bringing the desktop to GNOME 3.10. Fedora's live desktop CD has used GNOME by default for many years now. Once upon a time that was completely unremarkable. However, since Ubuntu now has Unity, OpenSUSE pours its effort into KDE and Mint has worked hard to divorce Cinnamon 2.0 from GNOME 3, Fedora is, well, just about all GNOME has left these days. Perhaps that doesn't matter. After all it's not hard to install GNOME atop just about any distro, but if distro defaults are any indicator, GNOME's appeal may be waning. I bring that up only because GNOME 3.10, as it ships with Fedora 20, actually offers a nice desktop experience. If you abandoned GNOME when 3.0 arrived, this release is worth another try. There's too much new in GNOME 3.10 to cover in a sensible or coherent review of Fedora, but there are a few notable things that deserve mention. Fire up the install CD and first thing you'll probably notice about GNOME 3.10 is the new look for windows. This release adds what the GNOME developers call the "Header Bar", which collapses a window's title bar and toolbar into a single element, saving a bit of vertical screen real estate and giving GNOME windows a slightly less cluttered look. The new windows are especially noticeable in the default file browser, Nautilus. The new and improved Nautilus looks much nicer and is less cluttered, which makes it feel more GNOME 3.0-like. Of course there's a price to pay for the simplified window bar - there's no minimise button and - as of this release, in many apps - even the popular GNOME Tweak Tool won't bring them back. As I mentioned in the beta review, this is just how GNOME is now. If you want minimise buttons on your windows, GNOME is not the desktop for you. GNOME 3.10 isn't just about windows. There are, for the first time in a long time, some new applications. All the new apps – like Music, Maps, Photos or Weather – are just "preview" status (presumably something like beta) according to the GNOME project, but Fedora has, surprisingly, included them by default in this release. I tested Music, Maps and Photos during the beta release cycle and found all three to be buggy, unstable and missing most functionality. Unfortunately, the same is true of the final release since nothing has changed on the GNOME side. Perhaps that's why, although Photos and Music are included out of the box, Shotwell and Rhythmbox, not Photos and Music, are in the GNOME Shell sidebar by default. Of the three, Photos works the best in my experience. It even integrates nicely with any photos you have stored online in places like Flickr or an OwnCloud installation. Unfortunately, it's slow and lacks any actual features beyond viewing your photos – when it even manages that. At this point you're better off opening Flickr in the browser. Ditto for the Maps app, which, even if it did work well, fails to offer any compelling advantages over web-based equivalents and has a number of drawbacks, for example, no way to send links to other people. GNOME's new apps are, to put it charitably, a work in progress and best avoided if you actually want to listen to music, view photos or get directions. Fedora 20 does ship with the new distro-agnostic GNOME Software application for installing and updating installed software. Unlike the rest of the new GNOME apps, Software actually works. Software looks and behaves more or less like Ubuntu's Software Center, which isn't a bad model, but so far it lacks some of the nice extras like app ratings and screenshots. Fedora 20 isn't just about GNOME of course. 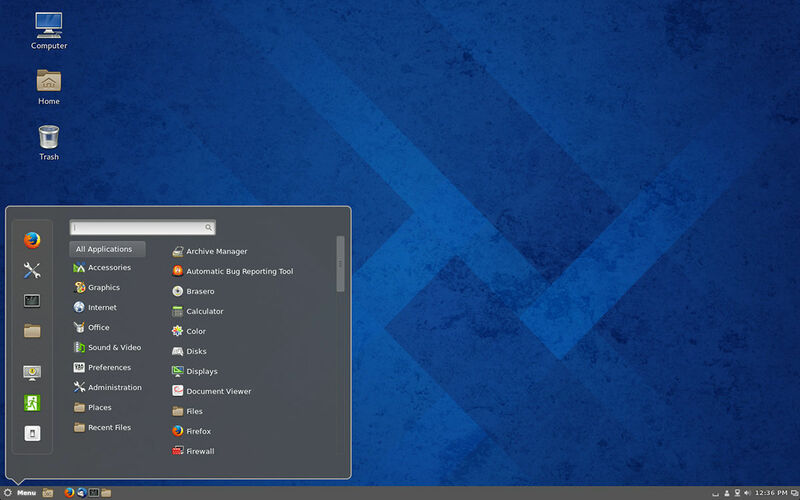 In fact, Fedora fans have a new desktop at their disposal - Cinnamon 2.0. Cinnamon 1.x was available for Fedora, but in my experience it was a pain to get set up and less than stable when you finally did. Since Cinnamon 2.0 has uncoupled itself from GNOME you no longer need to worry about whether or not the underlying GNOME system is copacetic with the version of Cinnamon you're trying to install. The result is a Cinnamon install that sits quite stably atop Fedora. If you opt for the DVD installer, getting Cinnamon to work with Fedora 20 is just a matter of ticking the box "Cinnamon 2.0." As is typical of Fedora, which has long focused on keeping the developer community happy, there are plenty of new tools and toys for sysadmins and software developers in Fedora 20. Among the notable new features are support for LVM provisioning in Fedora's Anaconda installer, better support for ARM emulation on x86 hosts - including a fix for known qemu bugs - and support for using SSDs to cache. The later is experimental, but allows you to add a solid state drive as a "fast, transparent cache" for traditional spinning hard drives. Developers get the latest version of Ruby and Ruby on Rails, Perl 5.18, some new Python tools and more. There's also now a graphical interface for Fedora's Developer Assistant app, which aims to make setting up your development toolchain a bit simpler. 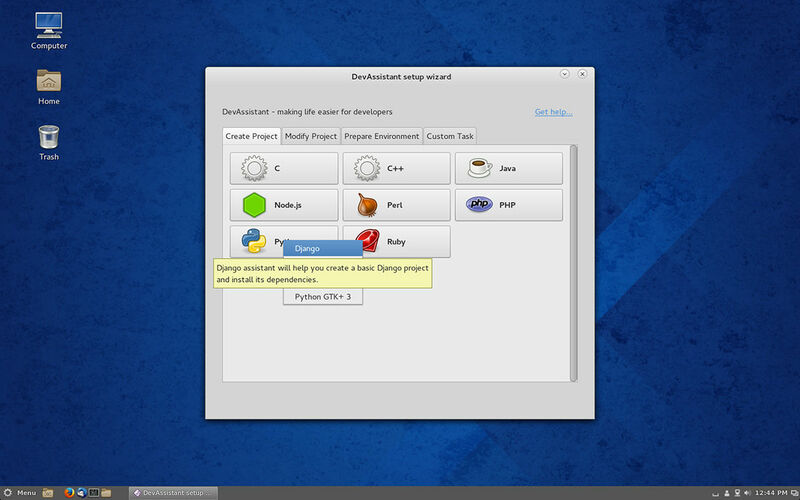 See the Fedora 20 release notes for details on everything that's new for developers. Other Fedora Spins have been updated as well, with the latest versions of KDE, Xfce, LXDE and MATE all available on the Fedora DVD or separately as CD images.